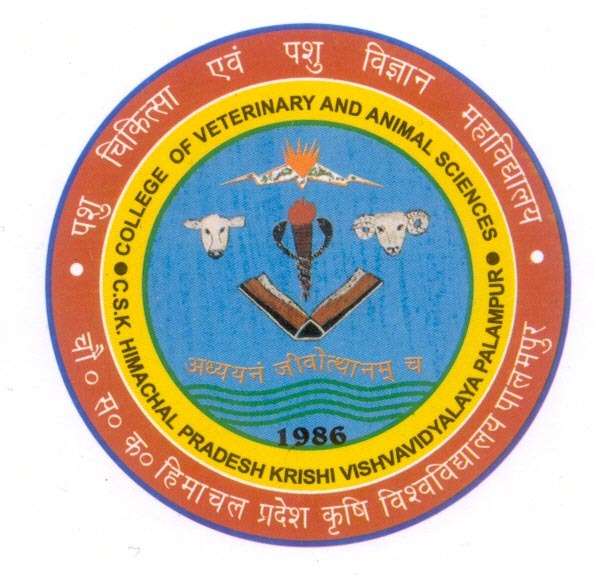 The department of Veterinary Parasitology, is an independent department, came into existence in 1991.Prior to that; it was a part of composite department of Microbiology, Pathology and Parasitology since 1986. Post graduate programme was introduced in the department in the year 1999. The main objective of the department is to impart teaching to undergraduate and post graduate student in the field of Veterinary Parasitology comprising the field of Veterinary Helminthology , Entomology and Acarology, and Protozoology. The research activities of the department has been mainly focused on the prevalence studies of parasitic diseases of animals in different agro- climatic zones of the state. Post graduate research activities are designed as per the needs of the farmers of the state. The department has developed various diagnostic facilities for parasitic diseases which help in providing routine diagnostic services to college clinics, university dairy farm beside others. Disease investigation laboratory of the department renders emergency services in field conditions during disease outbreaks and provide its expertise in determining the etiology of parasitic diseases and suggests its control measures. Department is actively engaged in educating the Livestock owners/Farmers of the state for prevention and control of parasitic diseases by way of delivering extension lectures in different training programme and giving consultancy services during clinical camps ,outbreaks ,Kisan Melas etc.